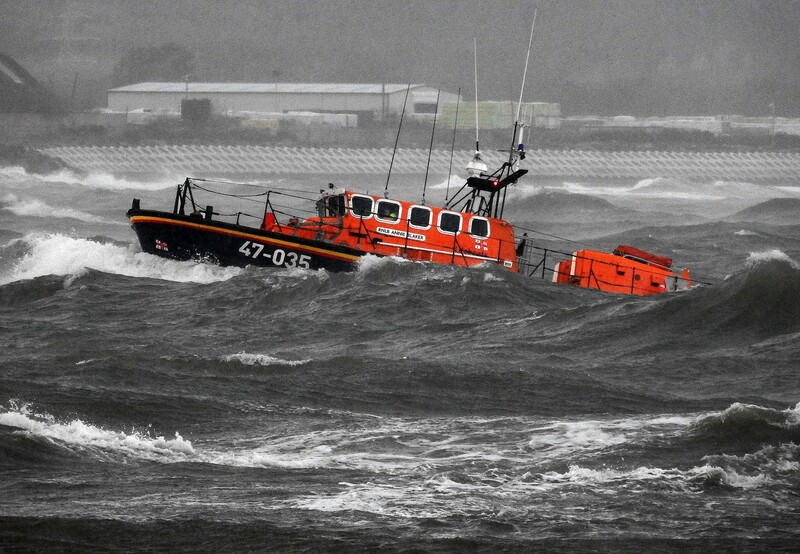 The relief Shannon class lifeboat Jock and Annie Slater arrived in Wicklow on Sunday afternoon after travelling from the RNLI headquarters in Poole, Dorset. 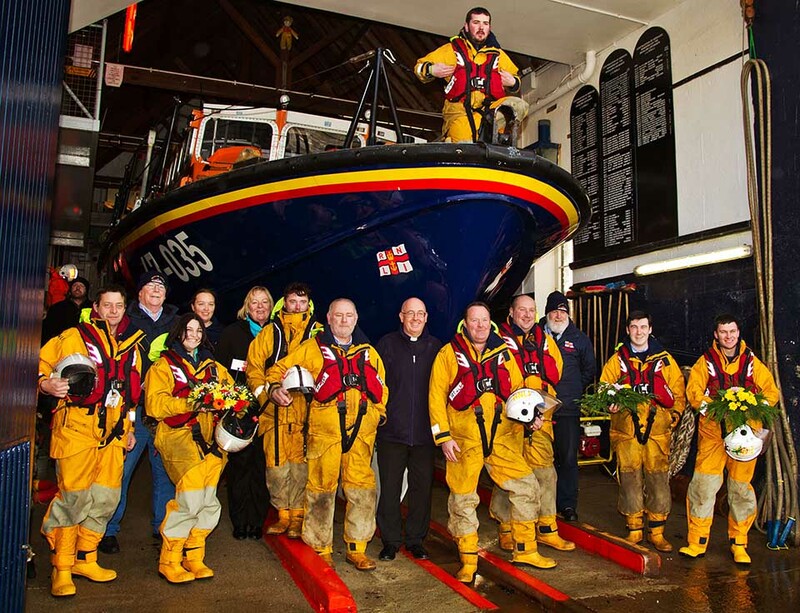 A large turnout of family, friends and supporters gathered as the Wicklow all-weather lifeboat Annie Blaker and the Inshore lifeboat escorted the relief Shannon into the harbour, while a lone piper on the East pier played a musical tribute to signal the arrival. Staff Coxswain Pete Hanscombe accompanied the crew on the training passage, but Coxswain Nick Keogh had the honour of bringing the relief Shannon into Wicklow harbour. A short impressive display of the boats speed and agility was greeted with applause from the crowd, before it came alongside the pier. The relief lifeboat will replace the present Wicklow lifeboat in the next few weeks after the crew complete familiarisation training. Temporary mooring facilities are being placed on the South Quay to support the lifeboat once it becomes operational. The Shannon lifeboat is self-righting and the first jet propelled lifeboat to go into service with the RNLI. Two Scania engines give it a speed of 25knots. She is self-righting and can endure up to 10 hours in extreme sea conditions. She is highly manoeuvrable even in shallower waters, and her Systems and Information Management System (SIMs) lets crew monitor, control and operate many of the boat’s systems from the safety of their seat. These seats have impressive suspension to make arduous sea voyages in the worst conditions more comfortable and safer for crew by reducing the impact of vertical slamming forces. Her distinctive hull shape is also designed to reduce the vertical and transverse slamming forces caused by rough seas, with a narrow bow to slice through water and a wide aft section to keep the Shannon steady.